The day after St. Patrick's Day we went to bet on some horses. We won the first race - me with the 5th horse in the fifth race for 5 dollars and Paul with a horse to show. 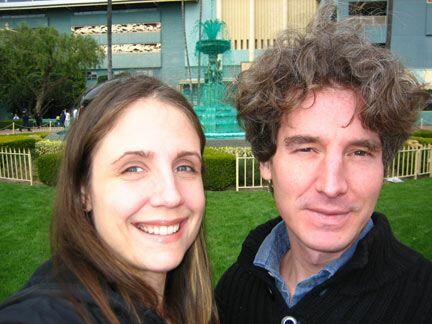 Notice the deliciously green fountain behind us.